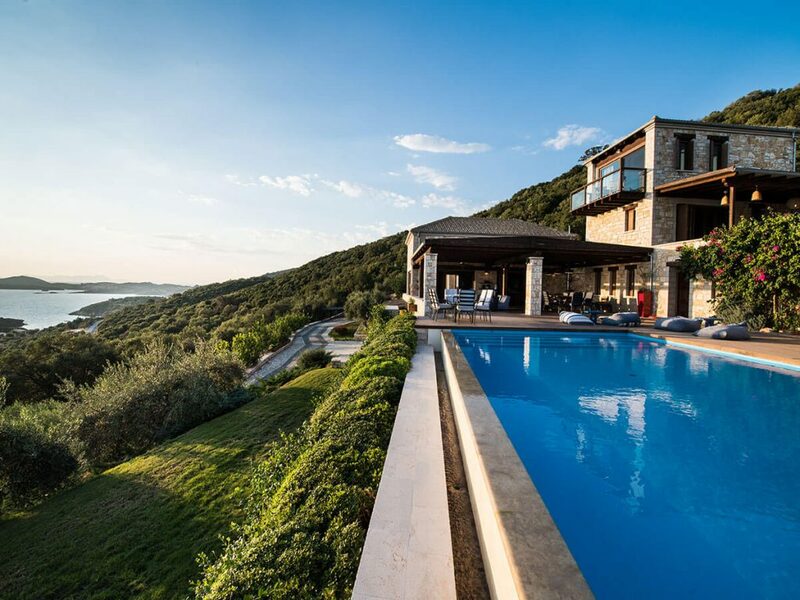 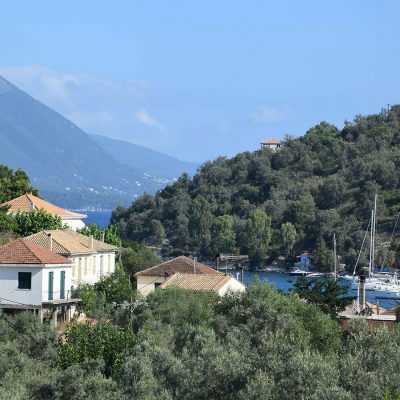 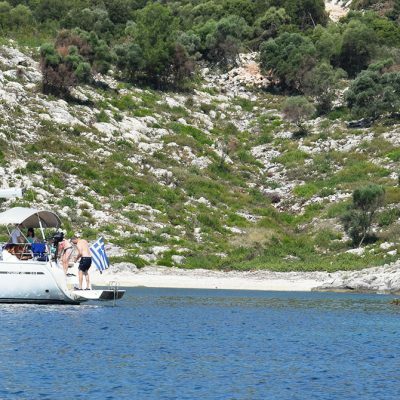 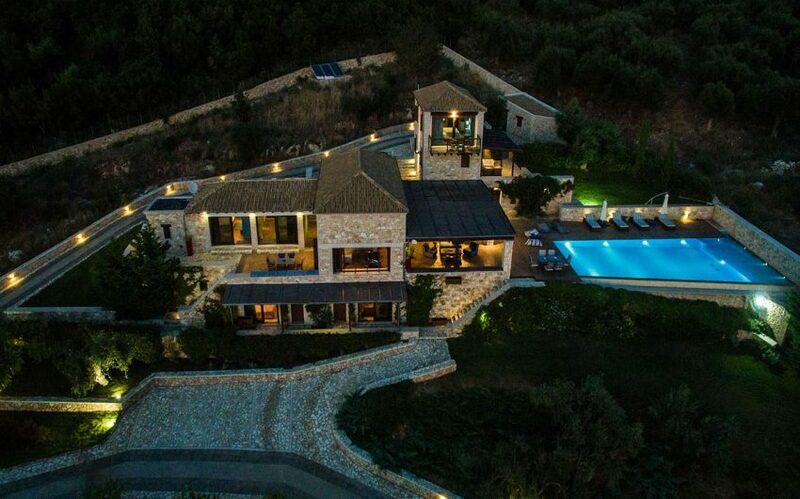 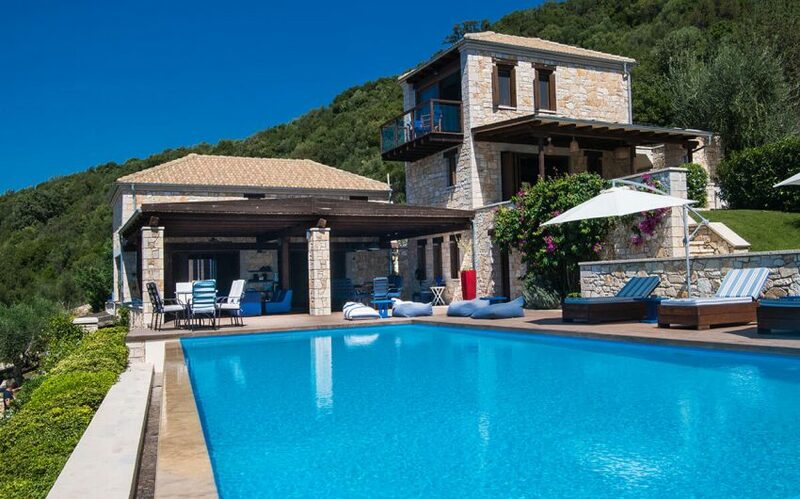 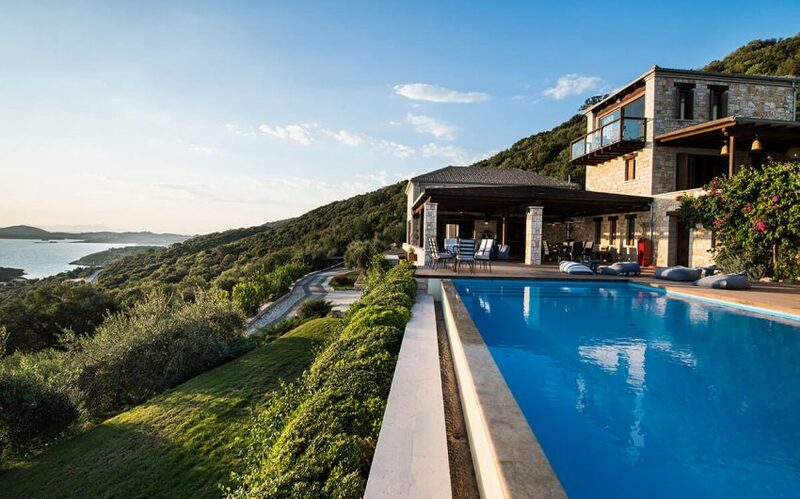 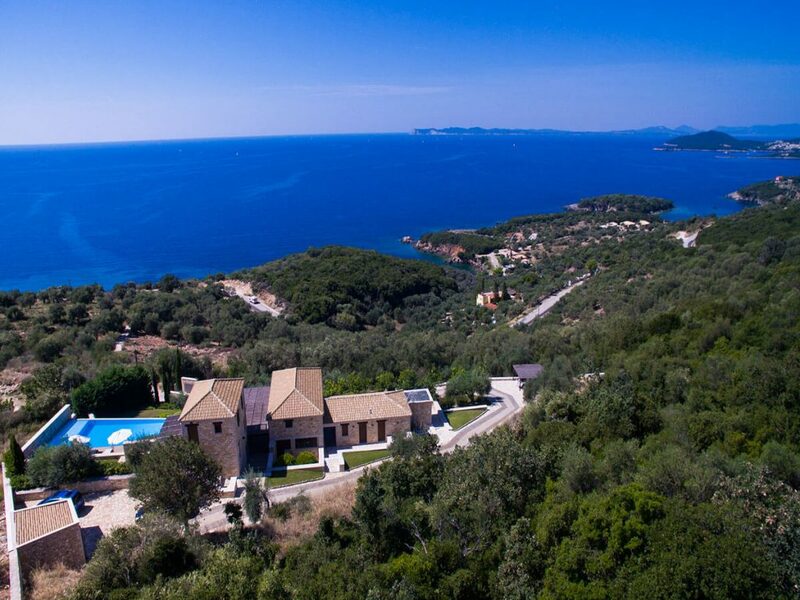 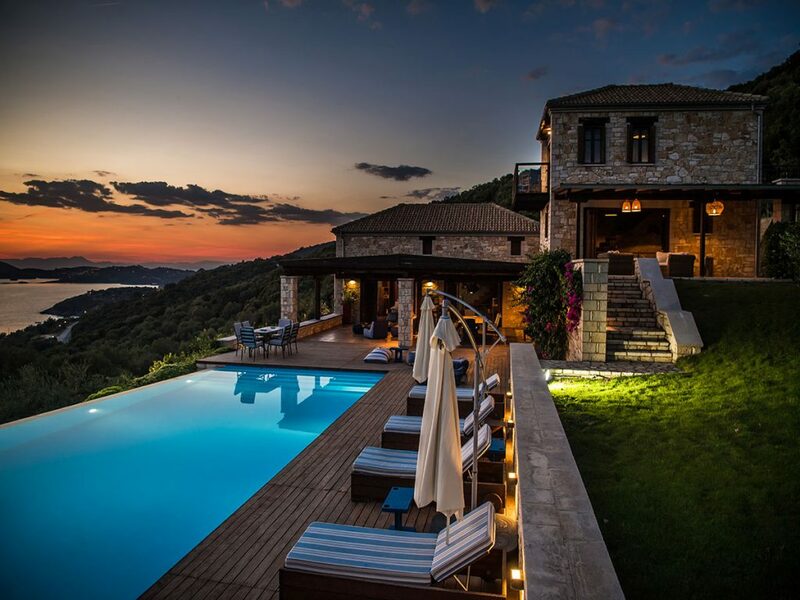 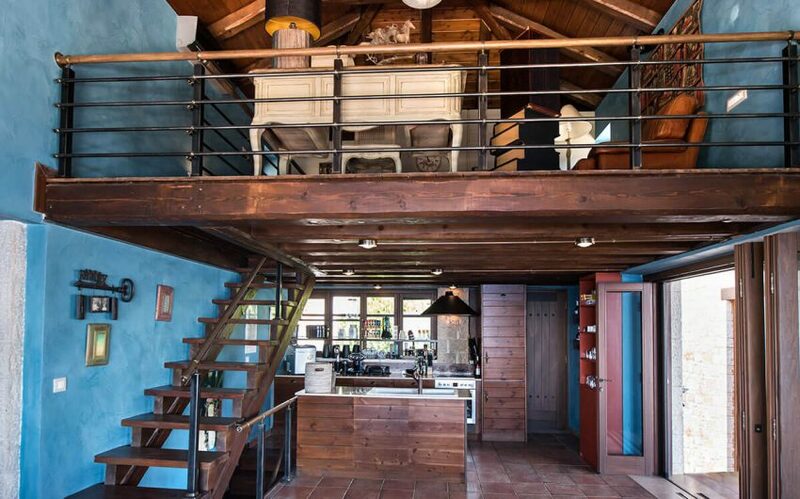 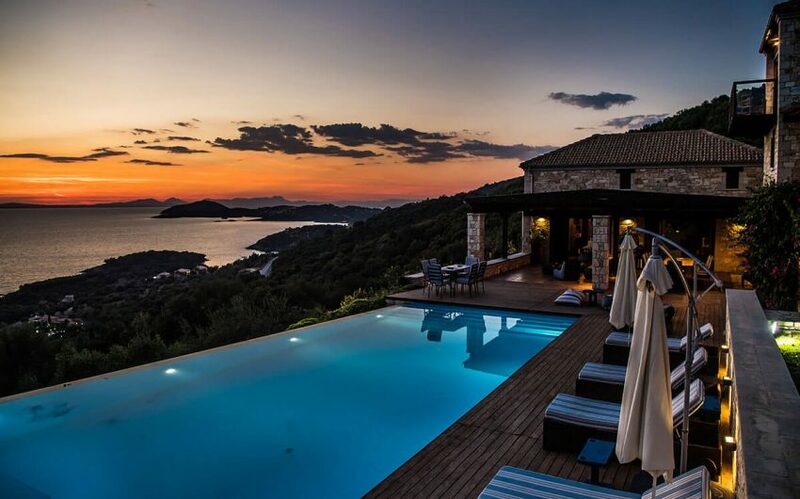 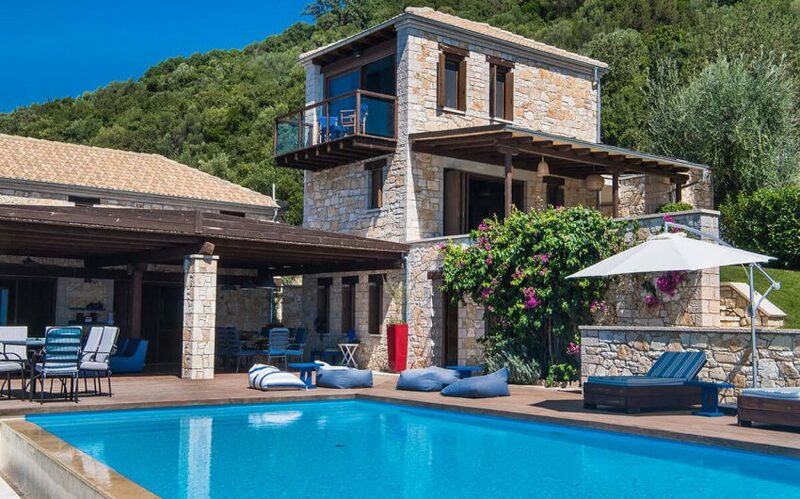 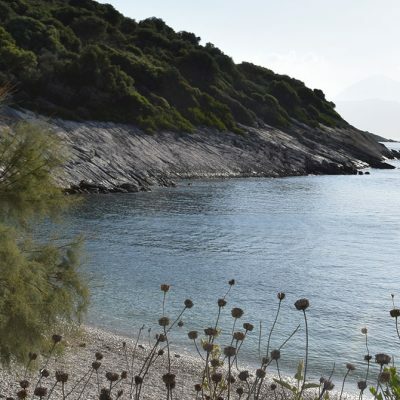 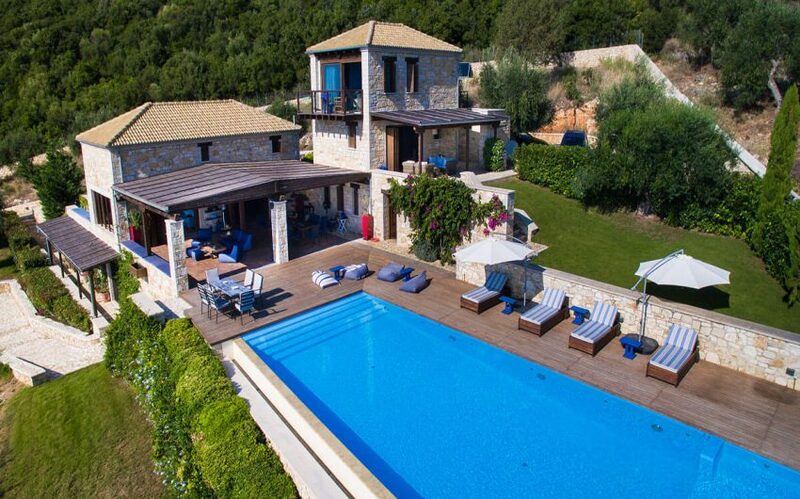 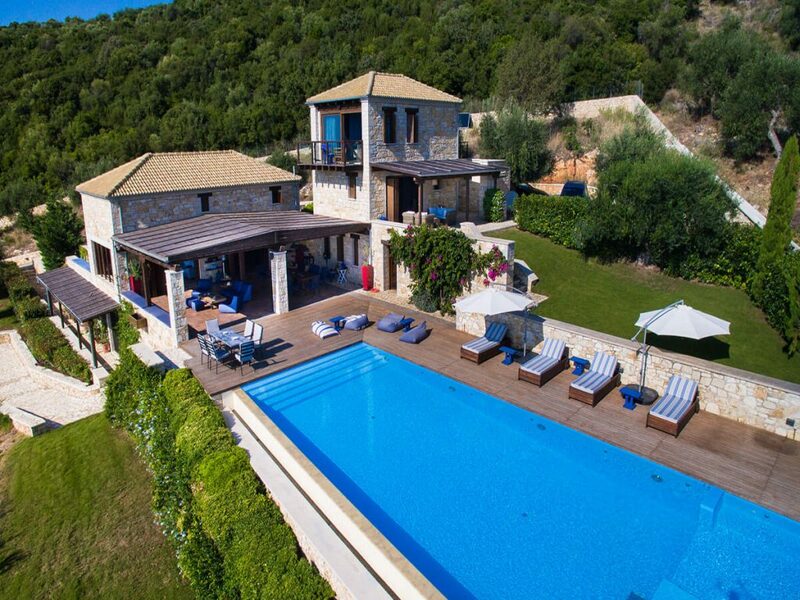 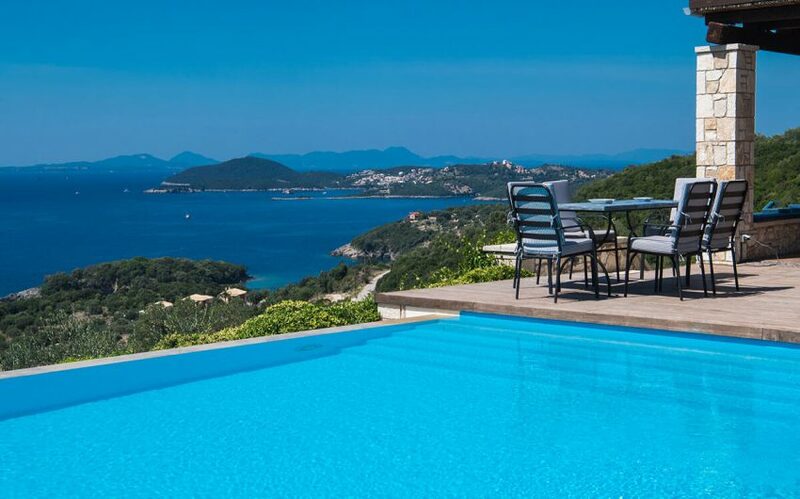 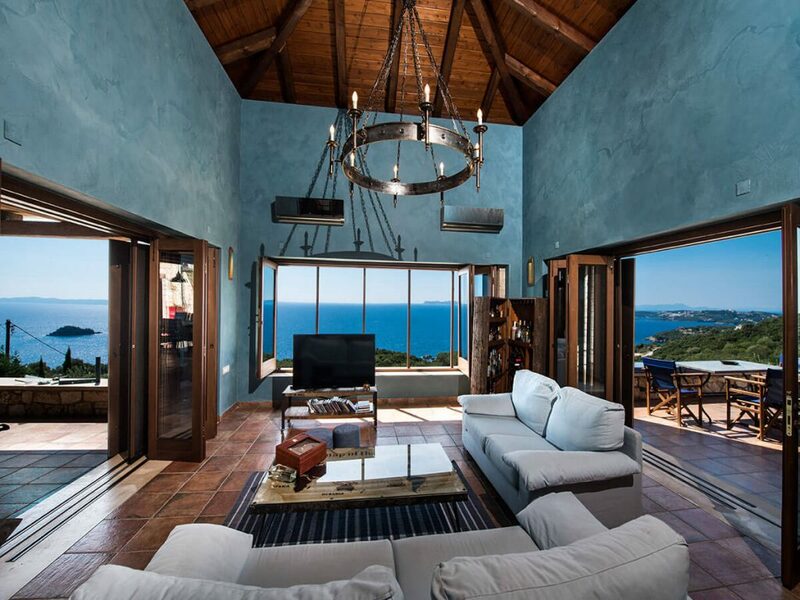 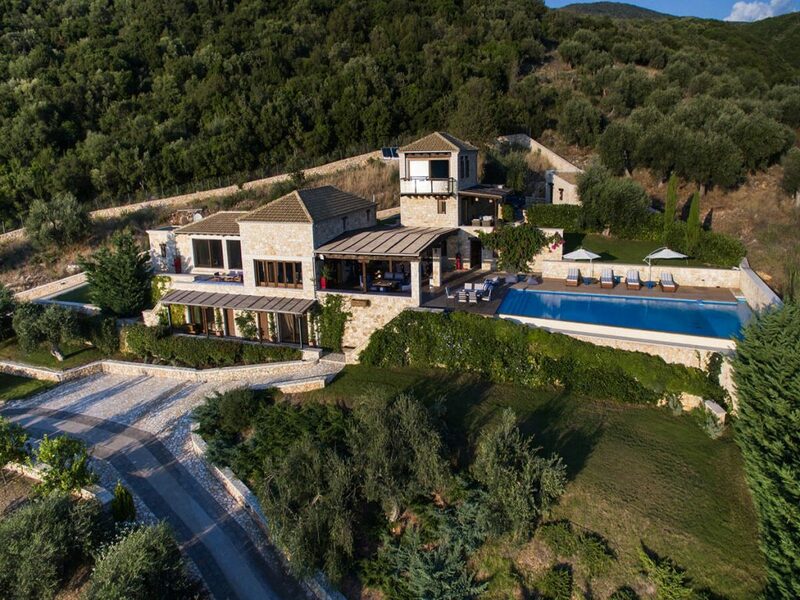 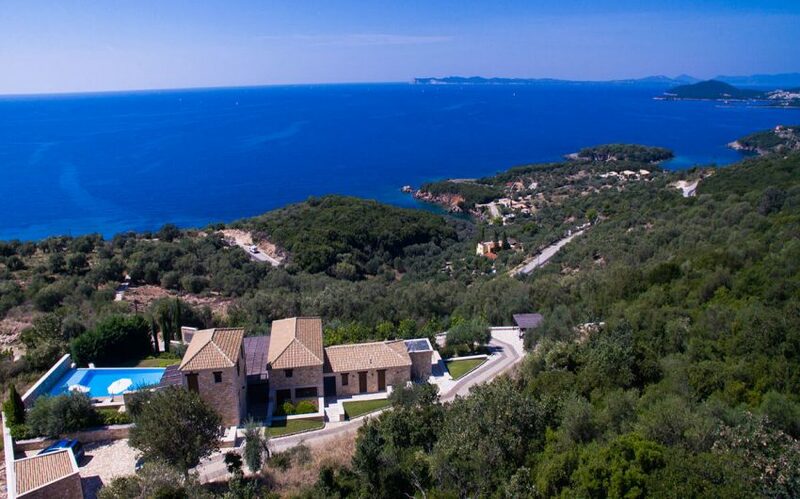 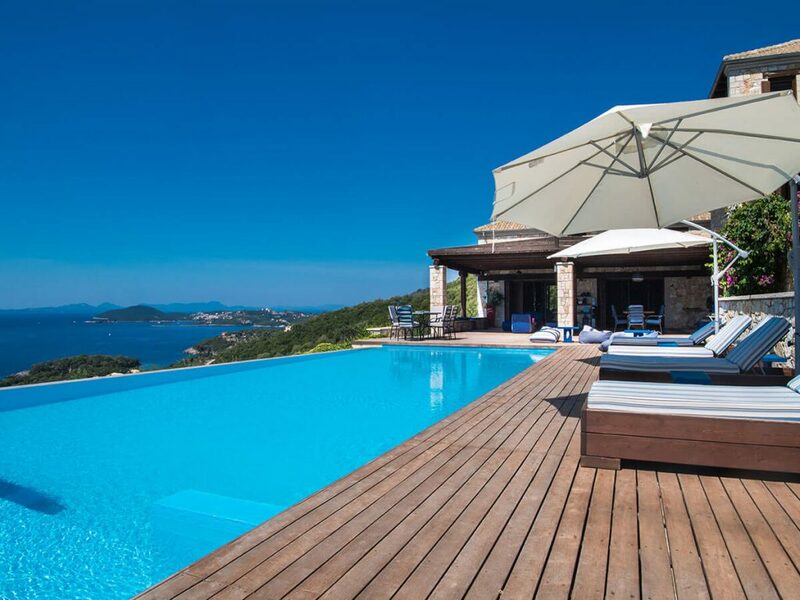 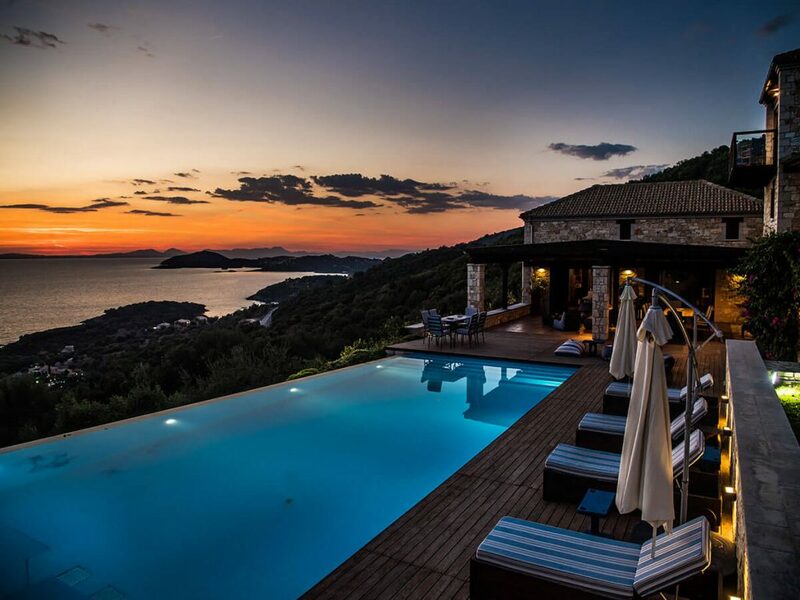 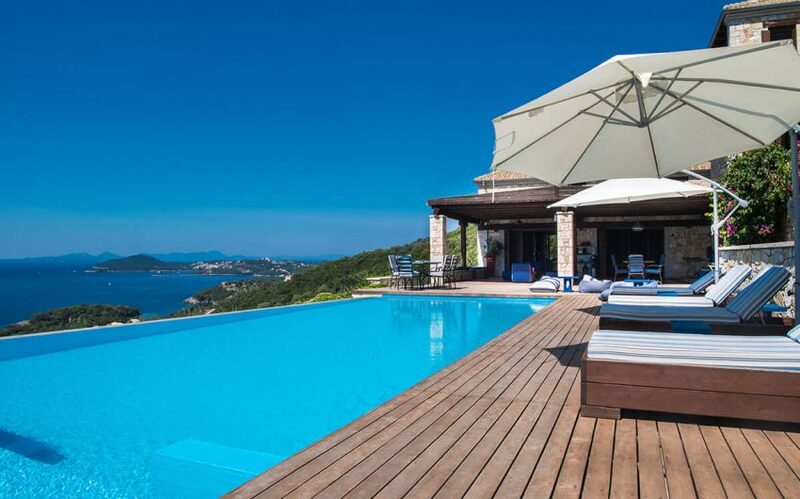 For sale in Sivota of Thesprotia a stone luxurious villa. 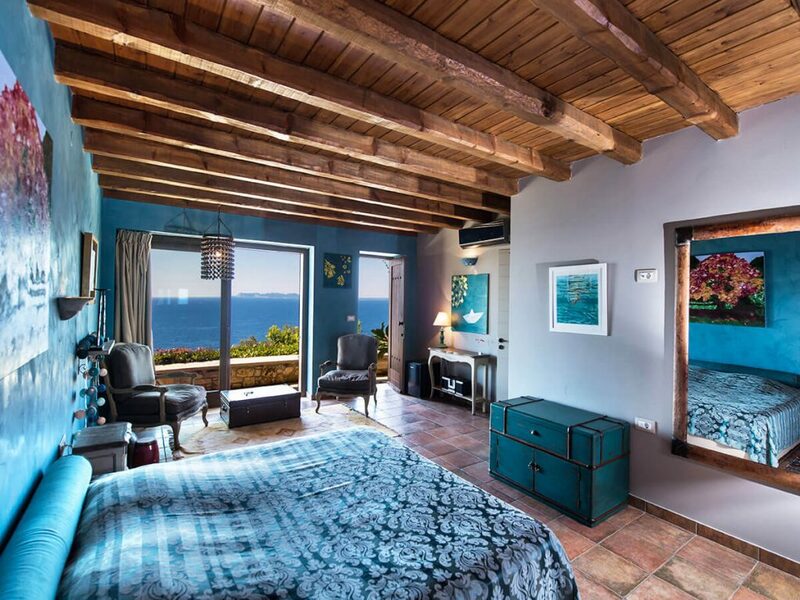 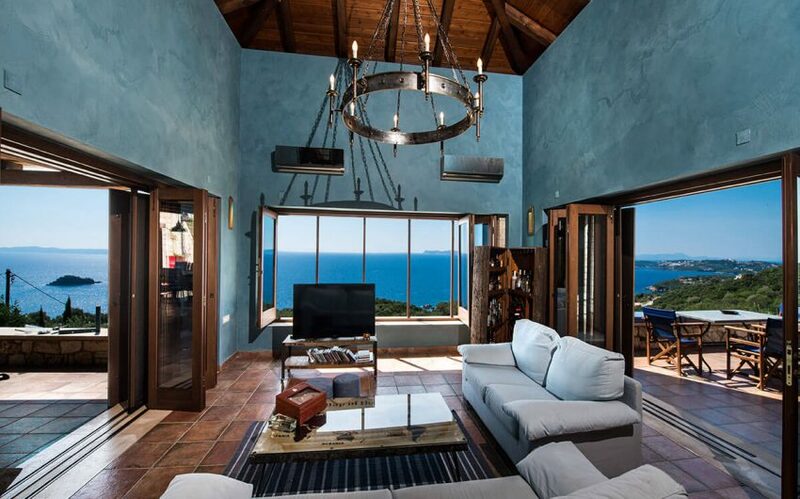 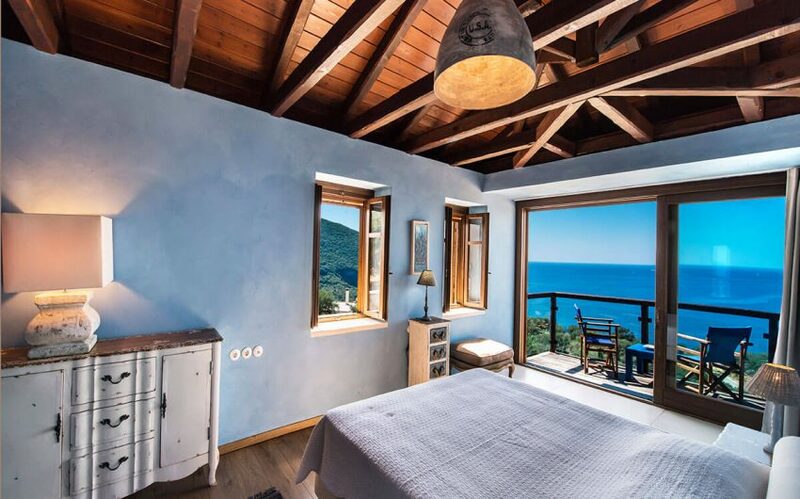 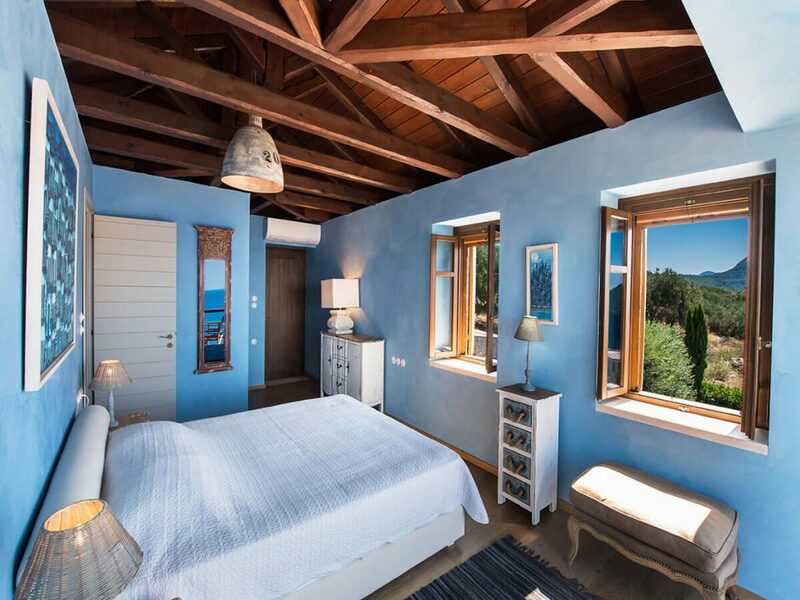 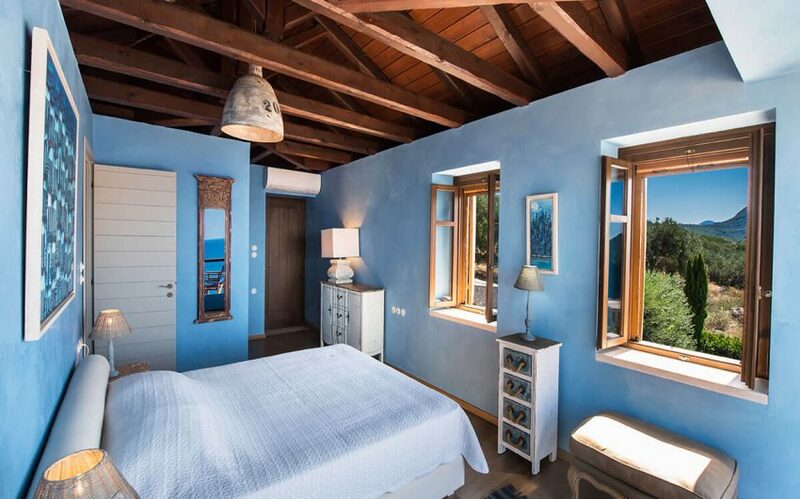 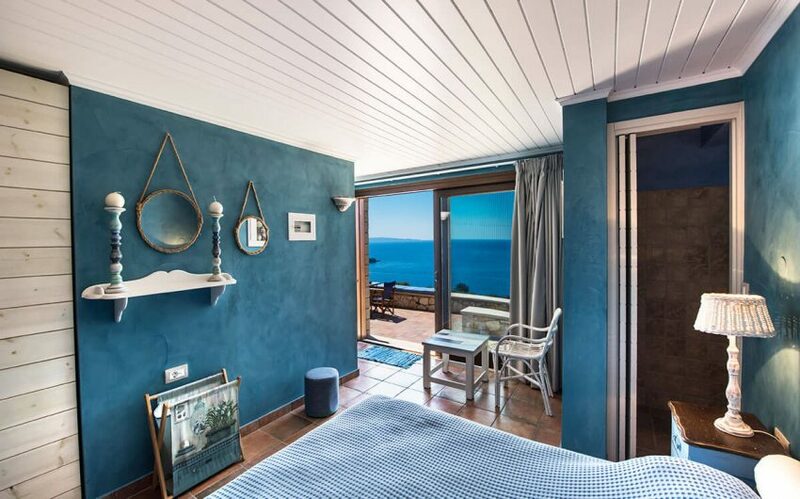 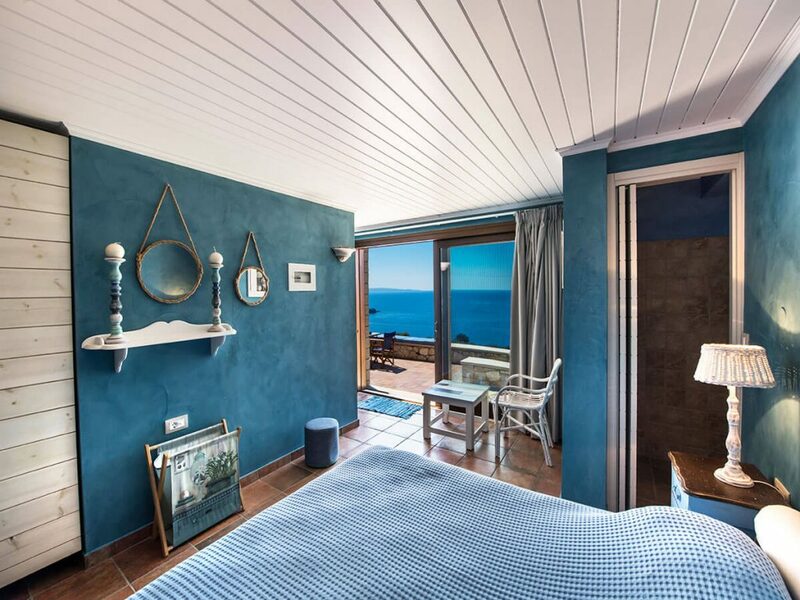 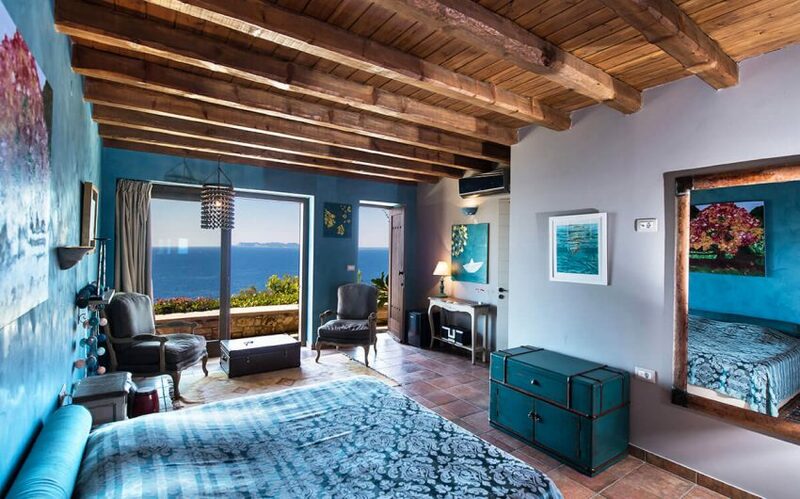 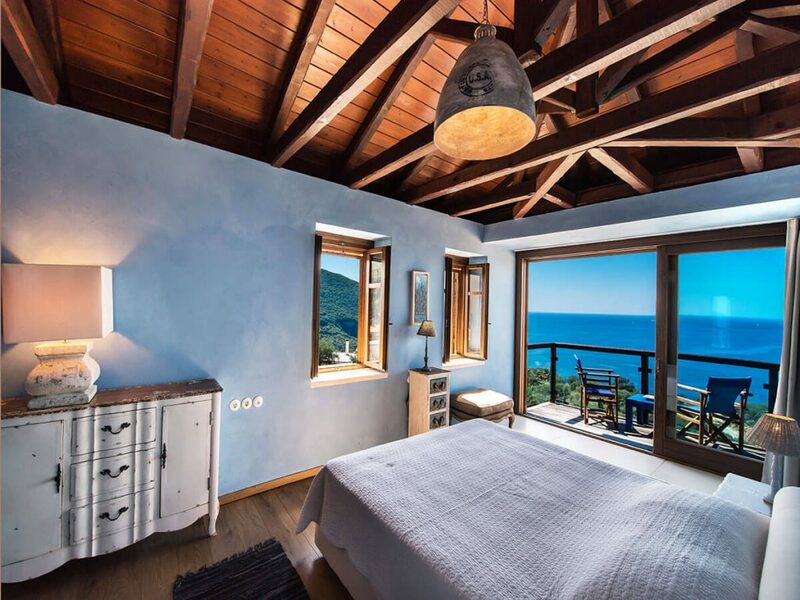 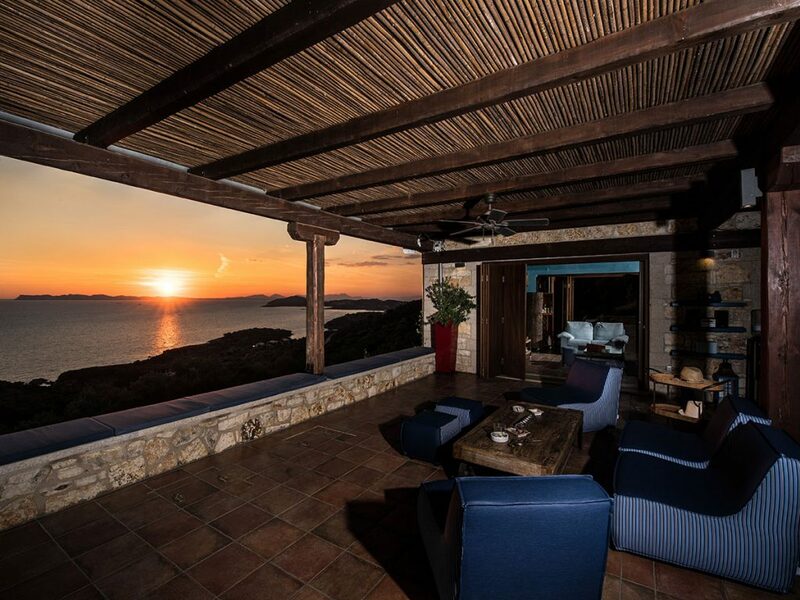 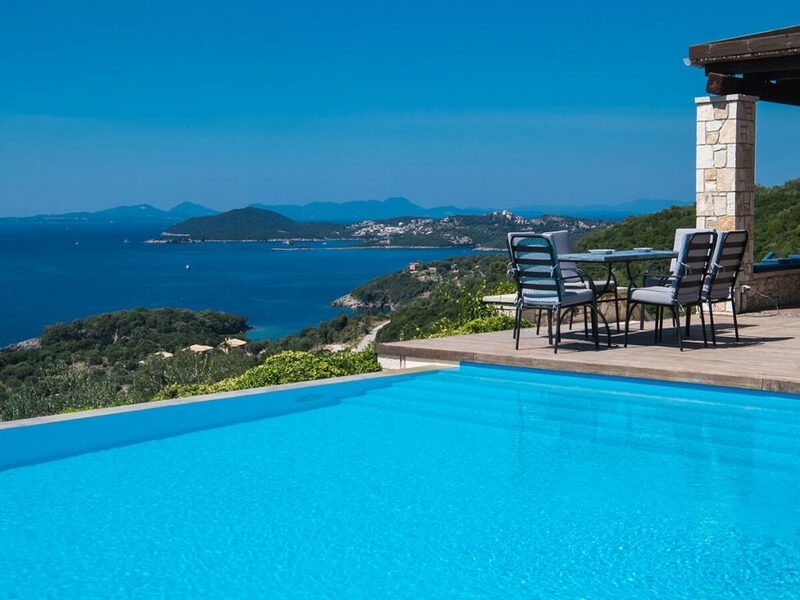 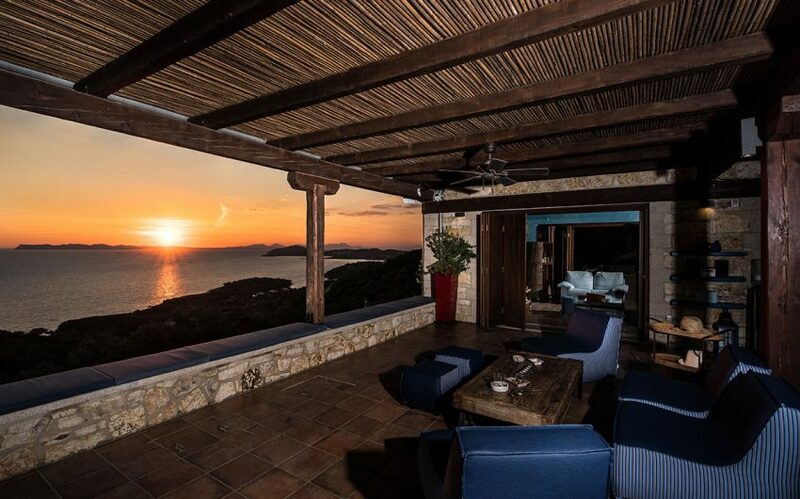 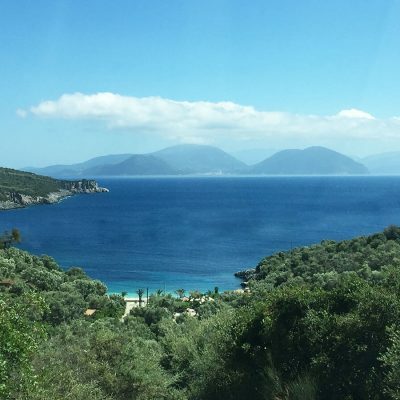 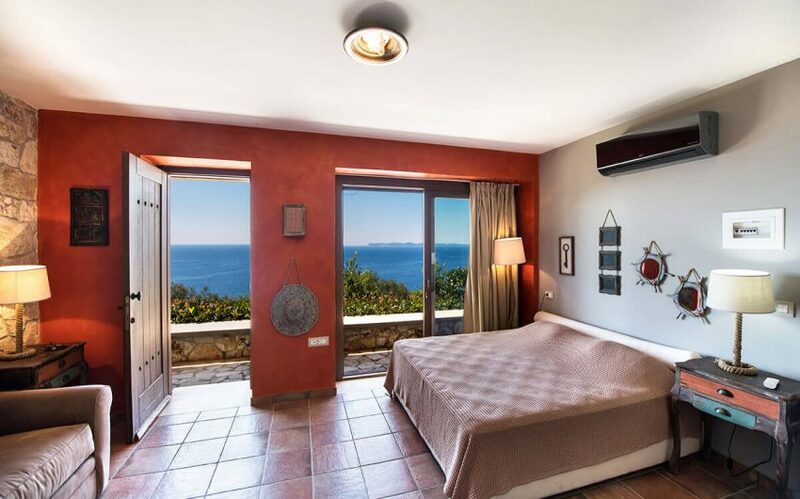 This villa with its special architecture and decoration is located in a prime position where guests can enjoy the panoramic view of Sivota, the sunset to the Ionian Sea and the surrounding green mountains. 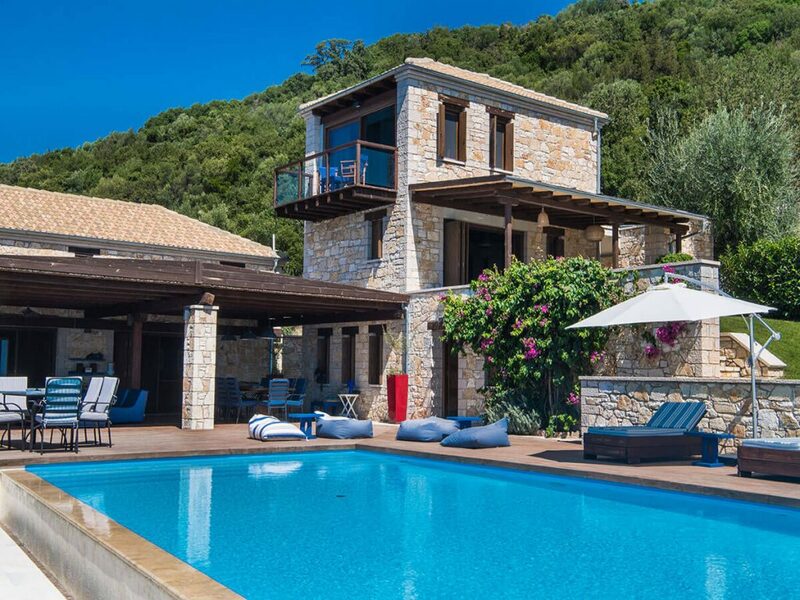 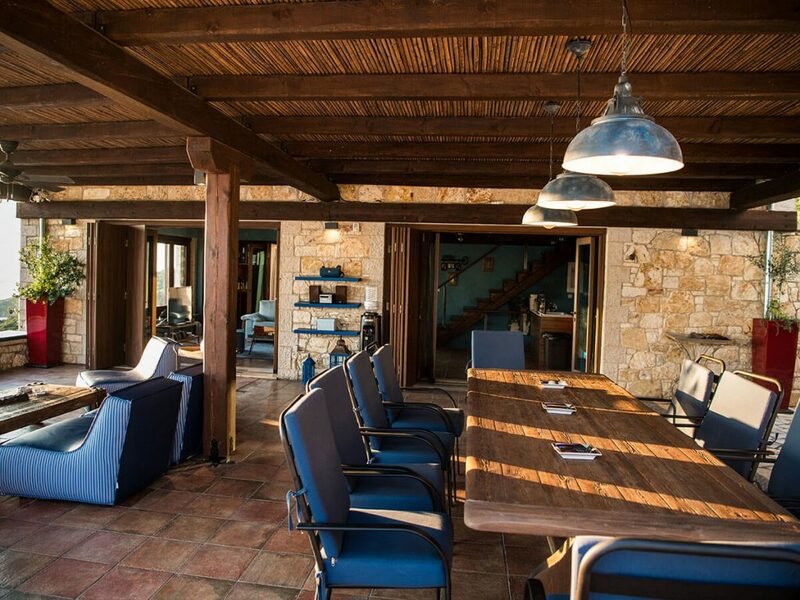 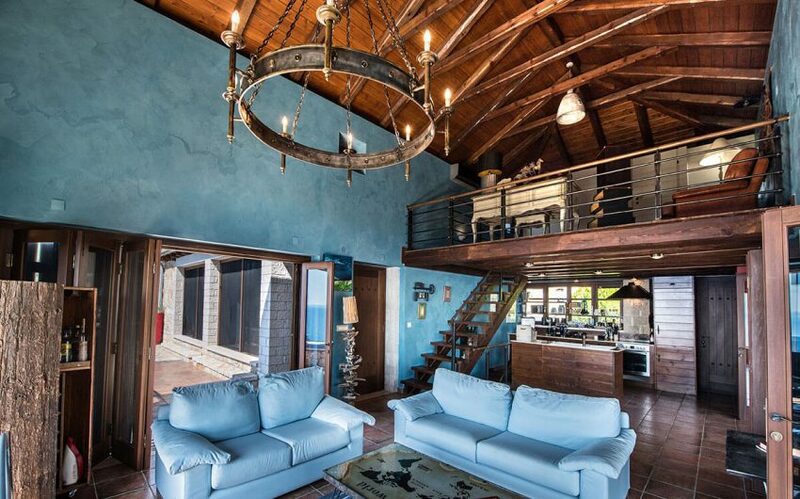 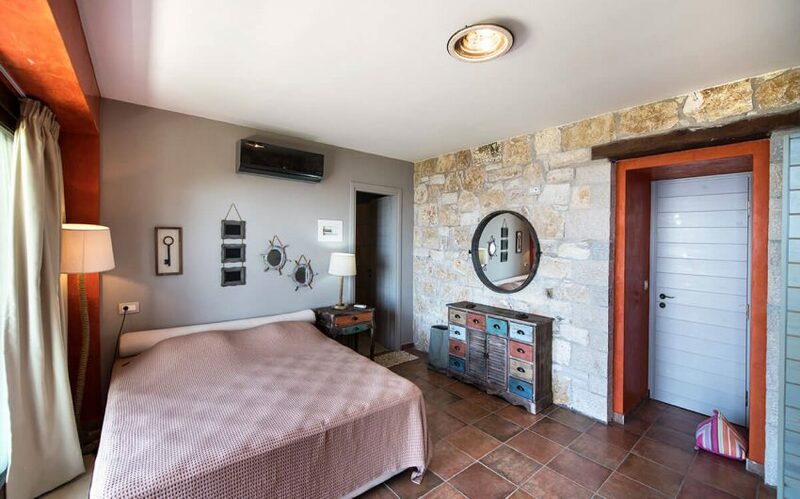 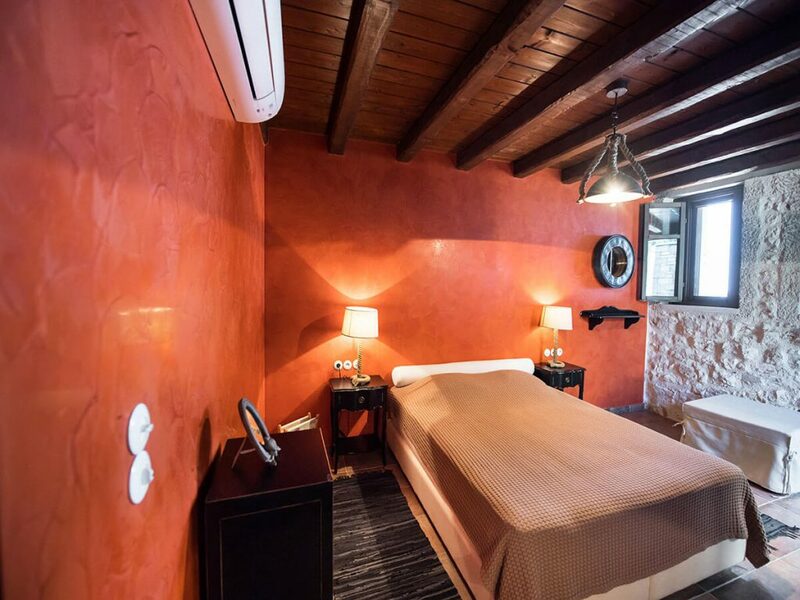 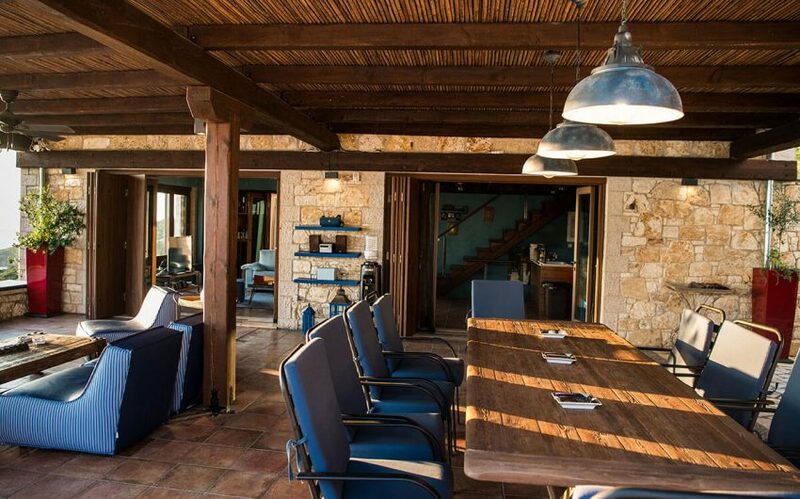 Wood and stone are the two basic materials that have been used to convert this construction into a high standard villa, ideal for a holiday or a stay. 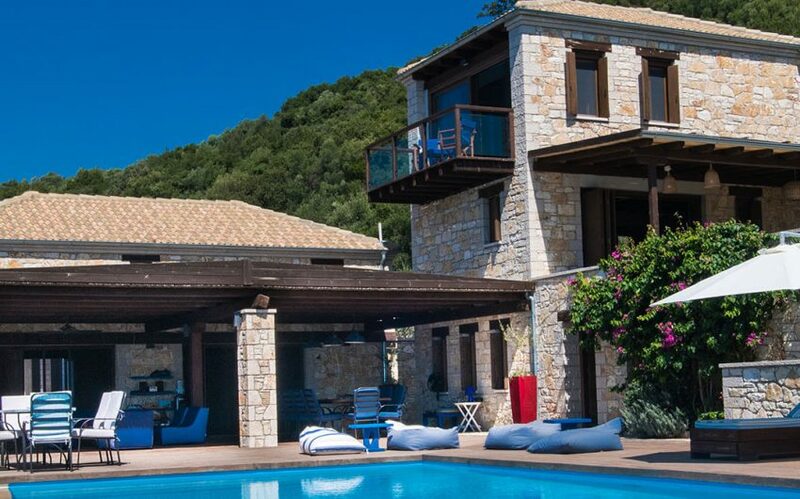 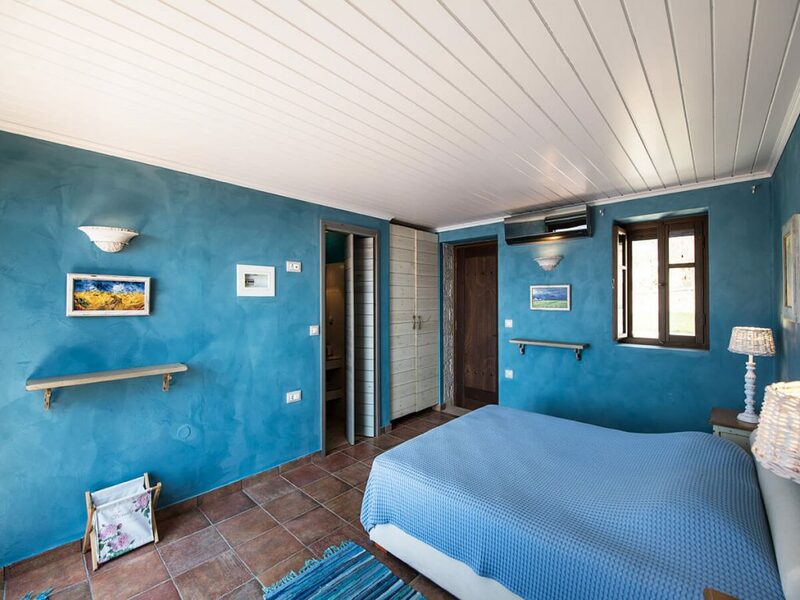 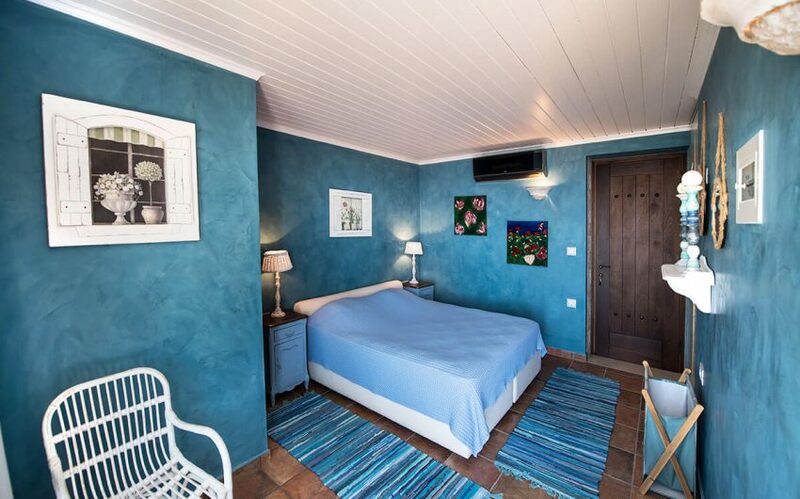 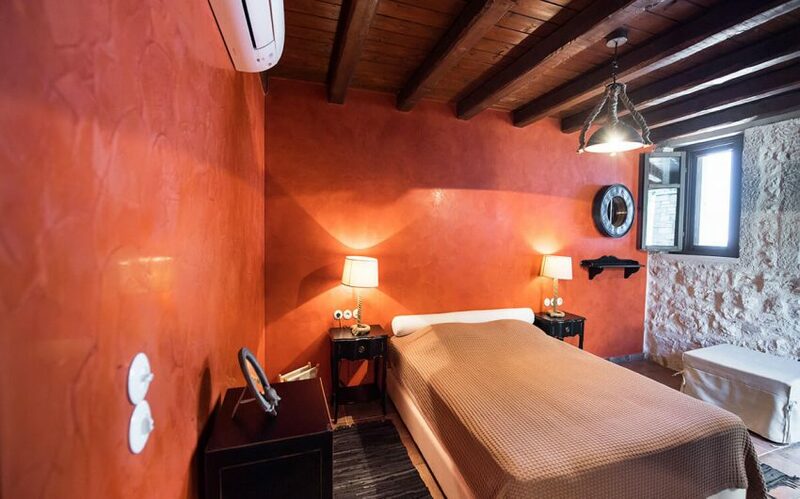 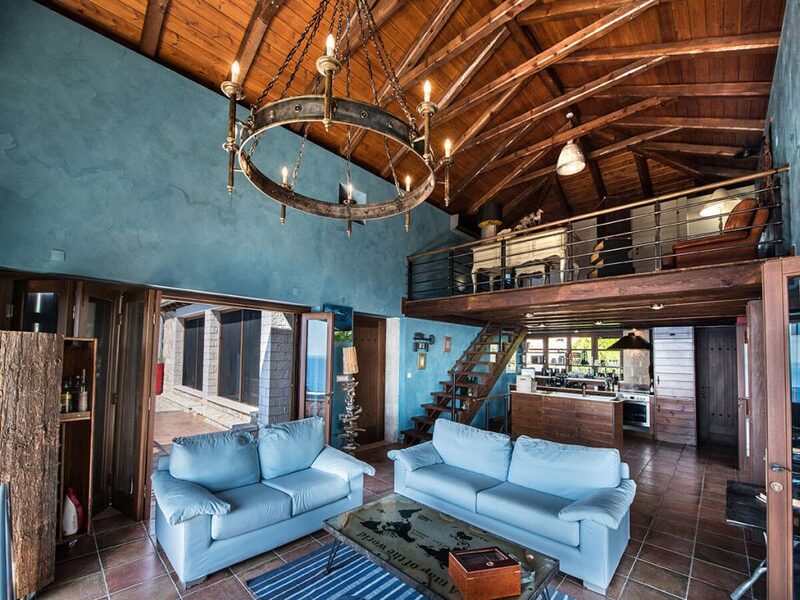 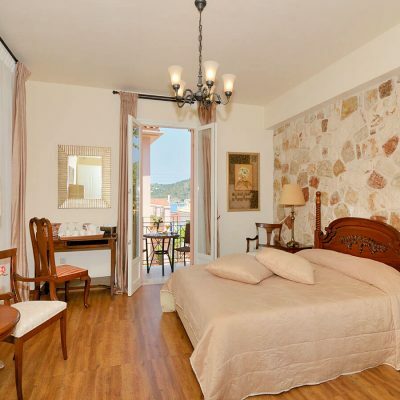 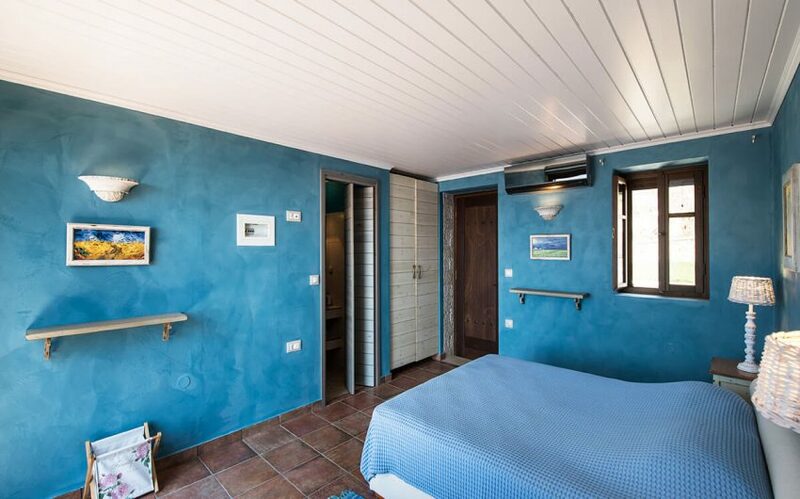 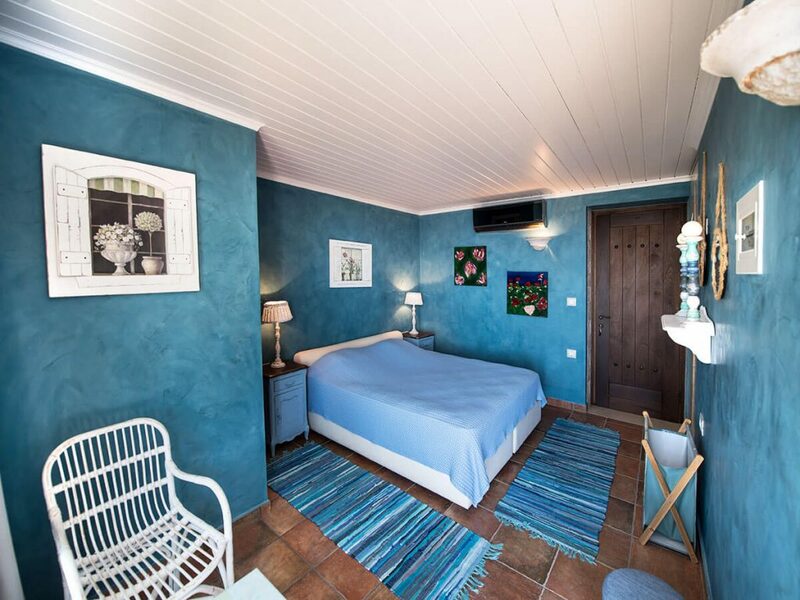 The concept of this unique villa created two separate independent buildings, fully equipped with state-of-the-art appliances and furnished with tasteful and high quality indoor and outdoor furniture. 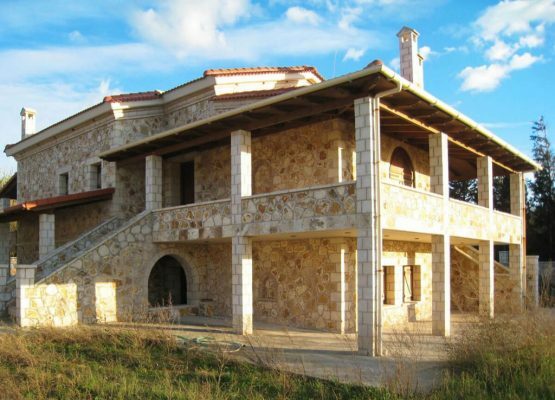 The main building has two floors. 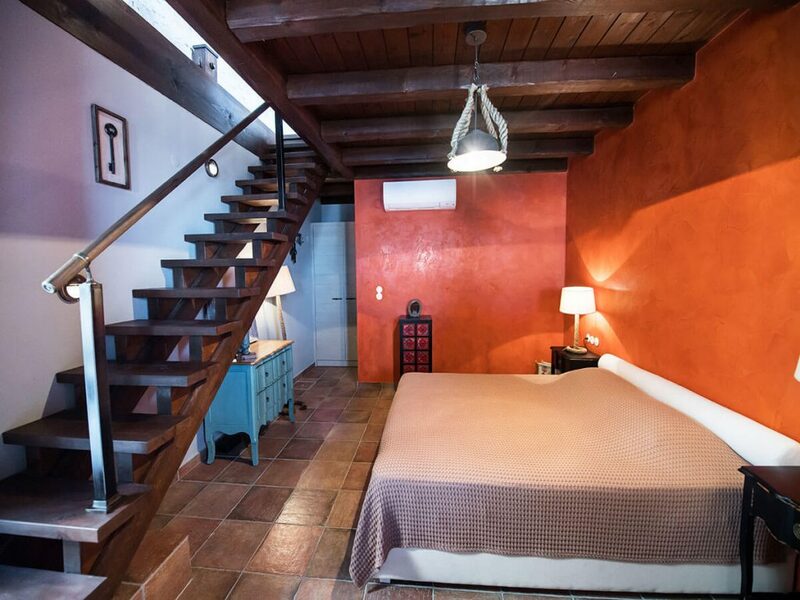 On the first floor there is a comfortable kitchen-dinning-living room and also 3 master bedrooms. 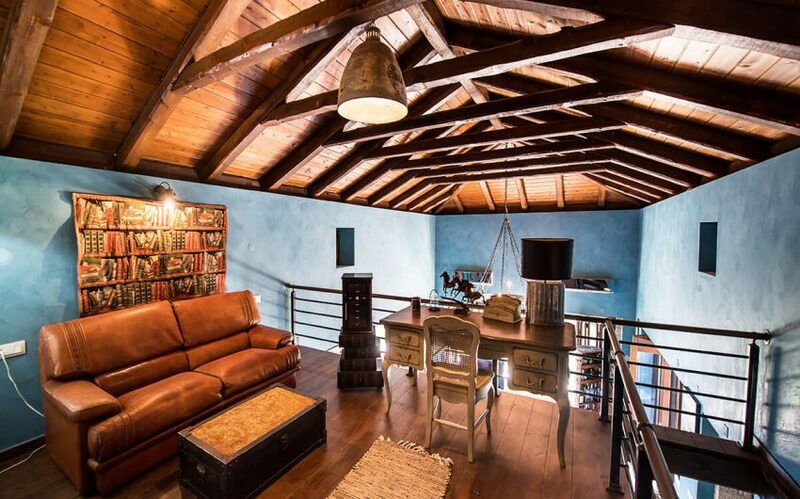 A loft with a toilet over the living room can be used as an office. 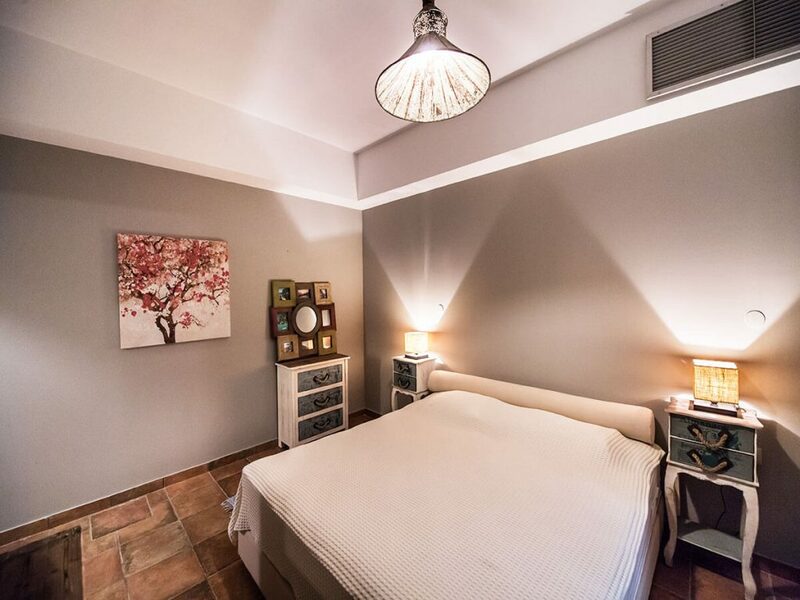 Another 3 master bedrooms are based on the ground floor. 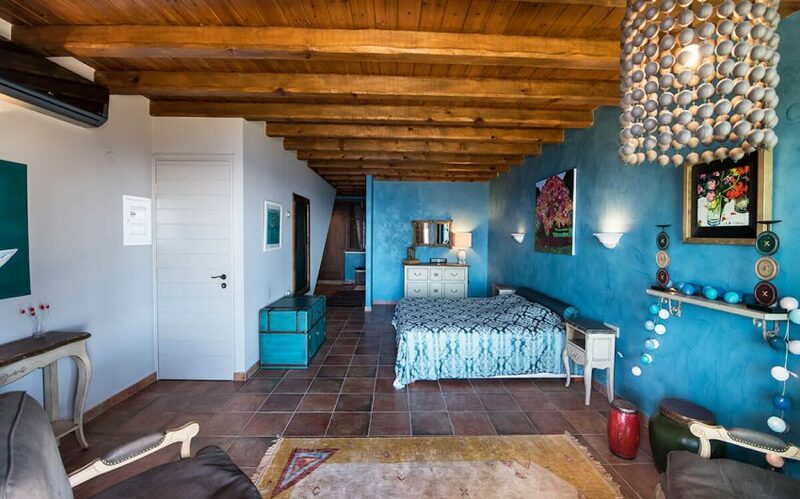 The independent guest house is built on 3 different floors, where the ground floor and the second floor have one master bedroom each. 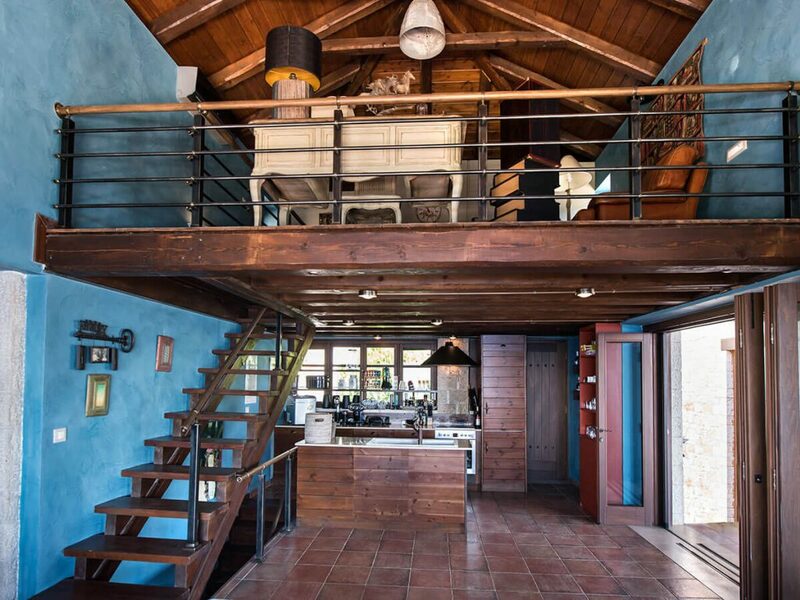 In the middle floor, a single kitchen / living room has been developed. 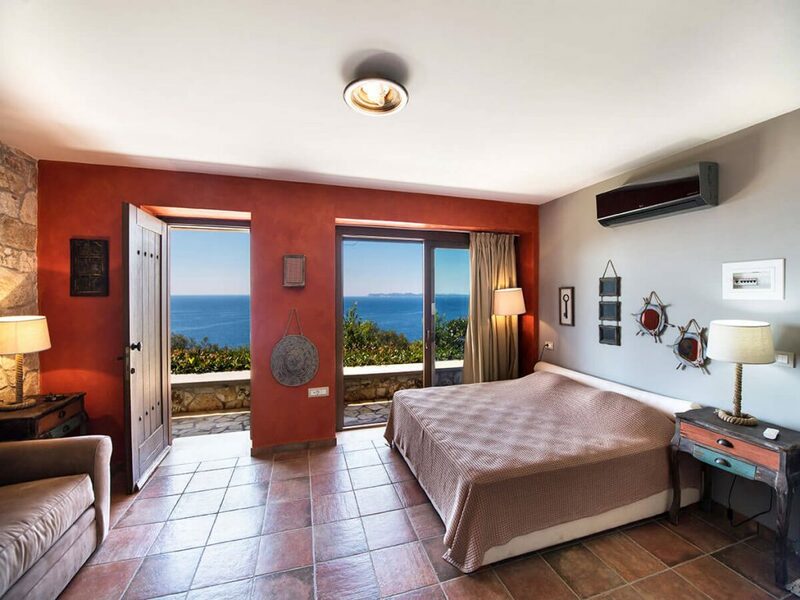 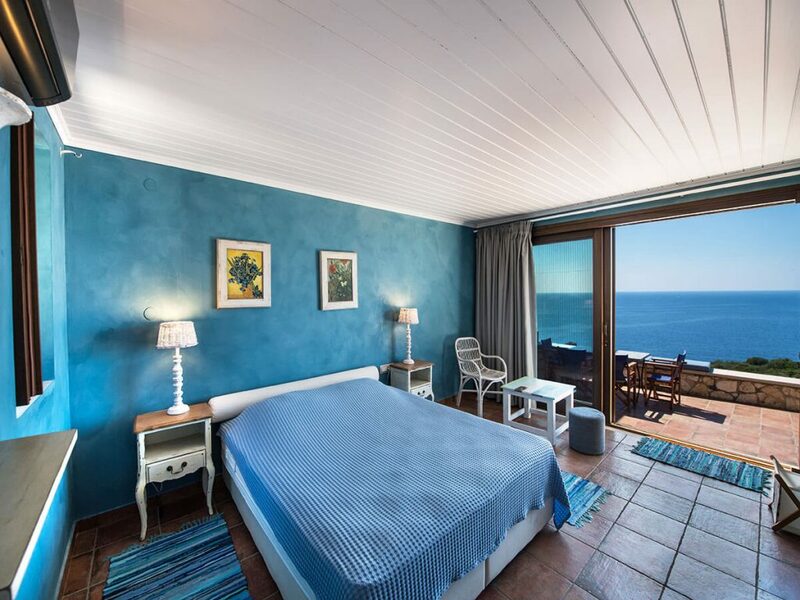 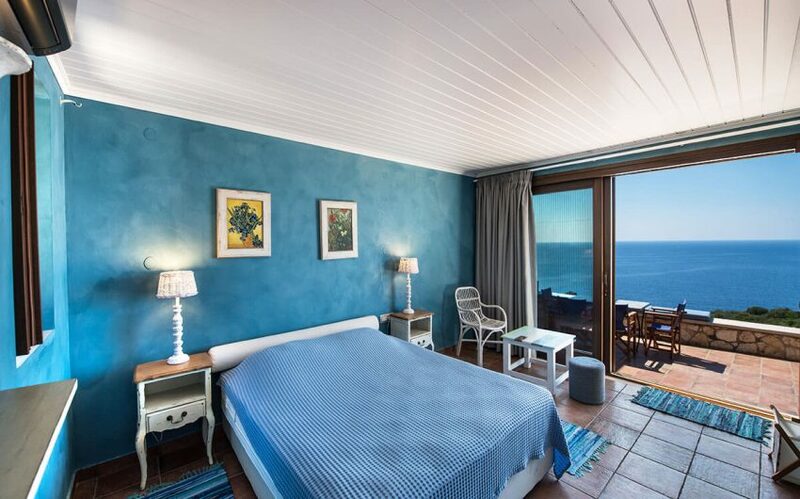 All floors of both buildings have a magnificent view of the sunset diving in the clear blue waters of the Ionian Sea and the infinity pool in an area covered with tiles and surrounded by green plants and trees. 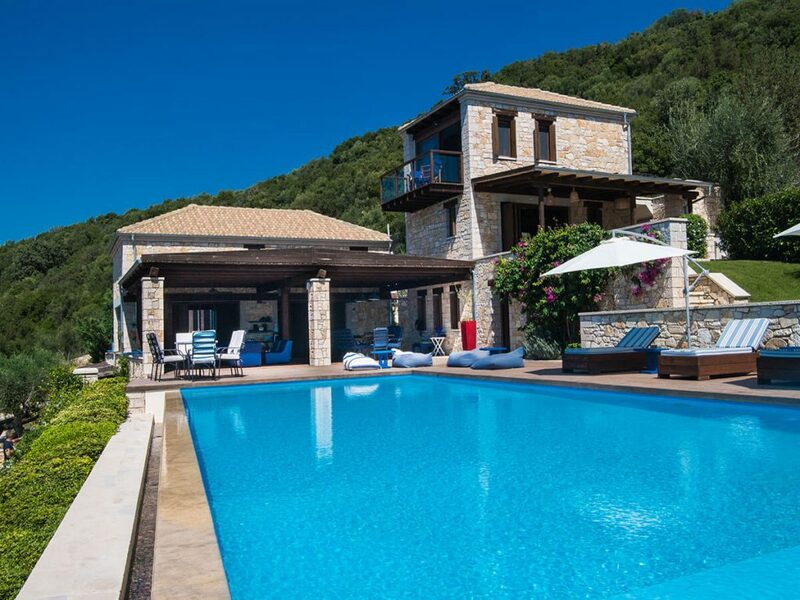 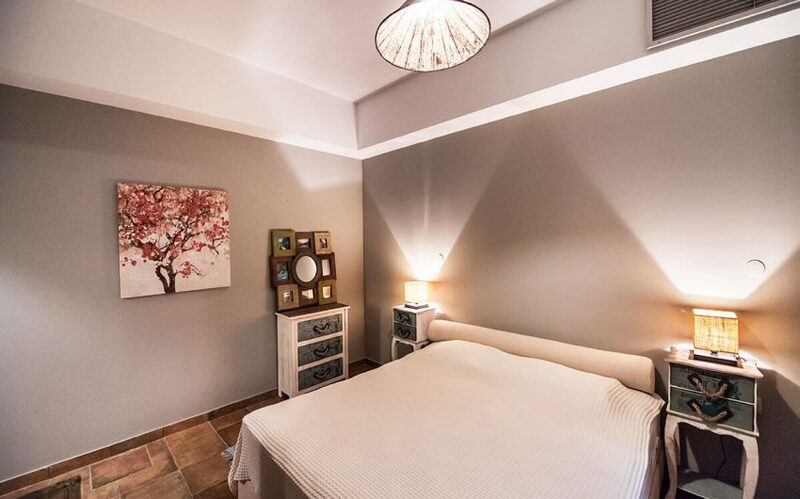 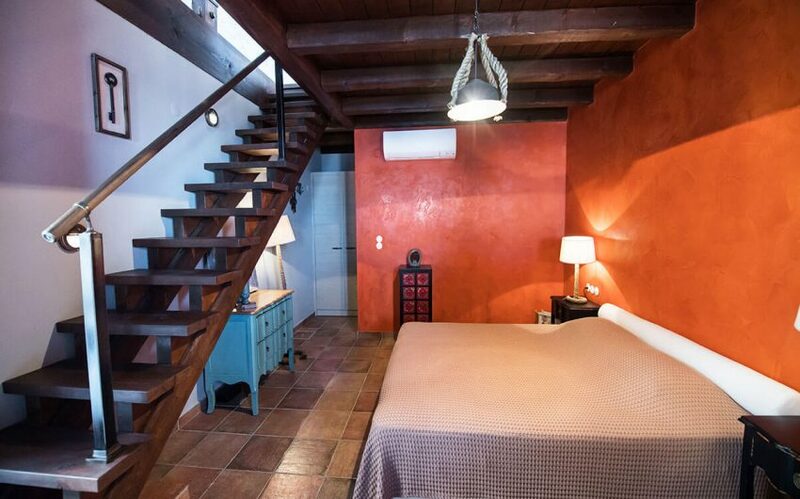 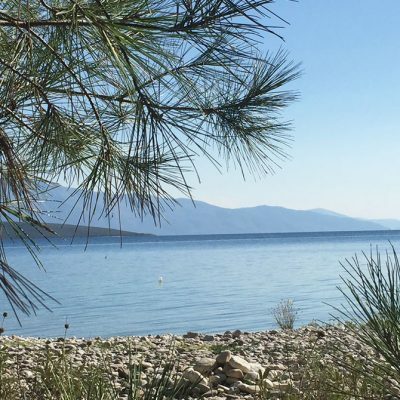 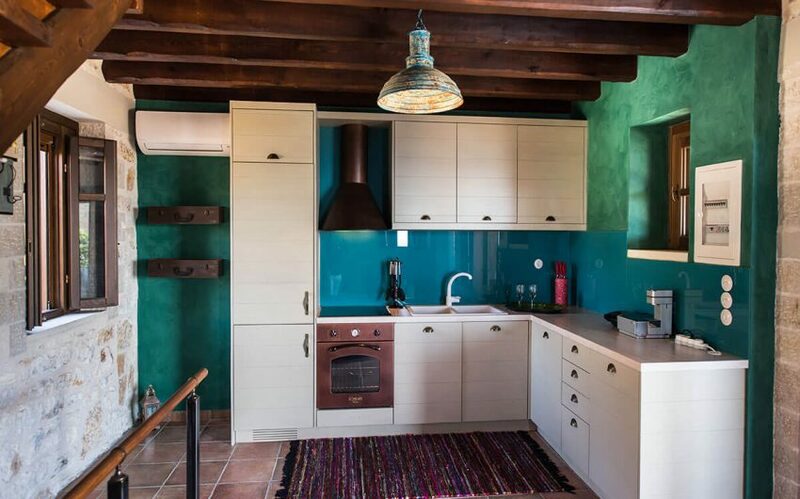 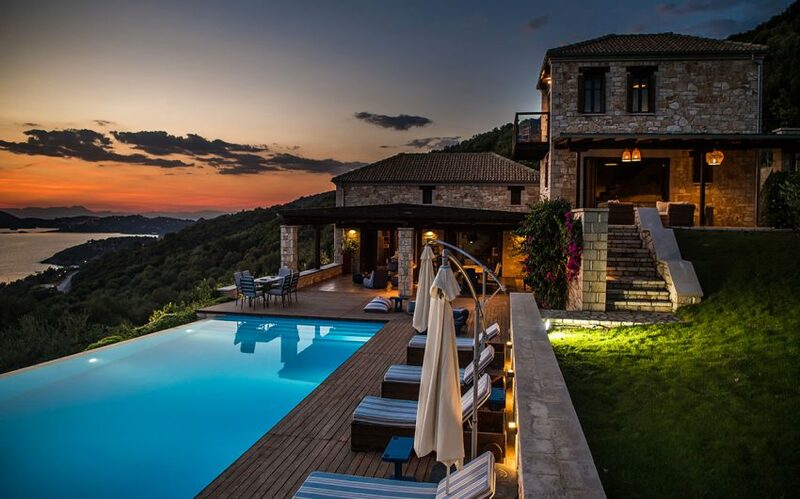 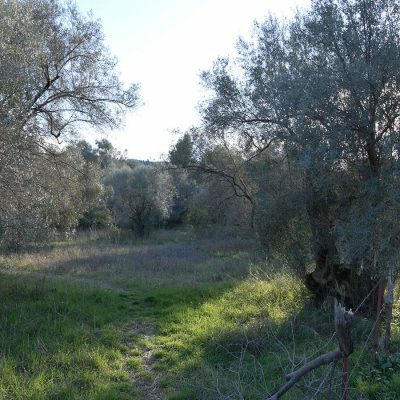 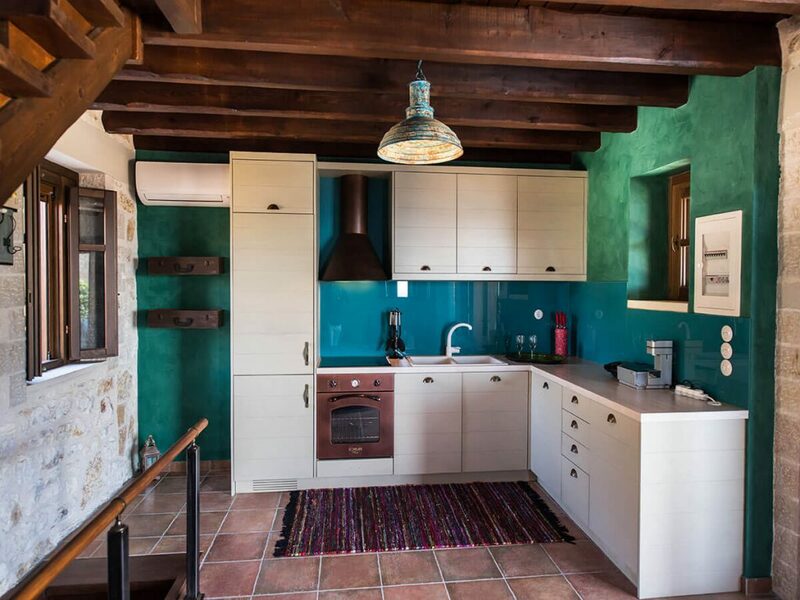 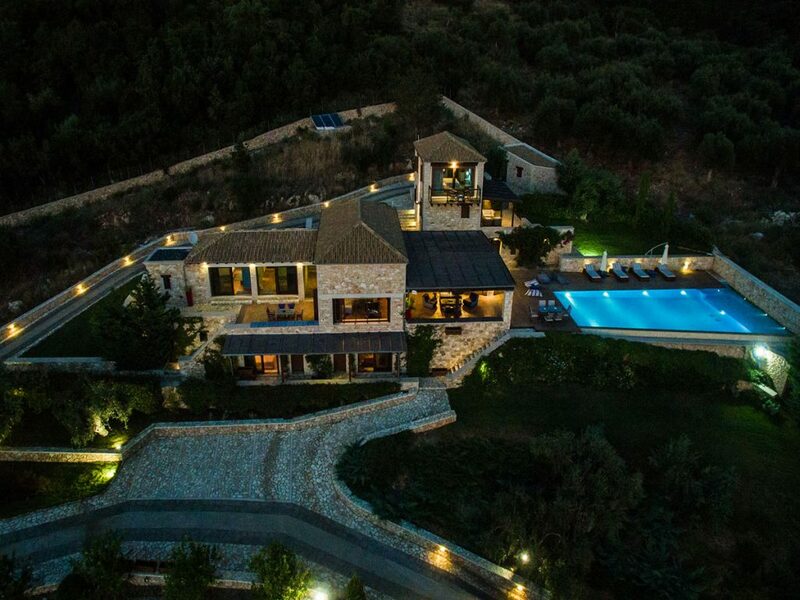 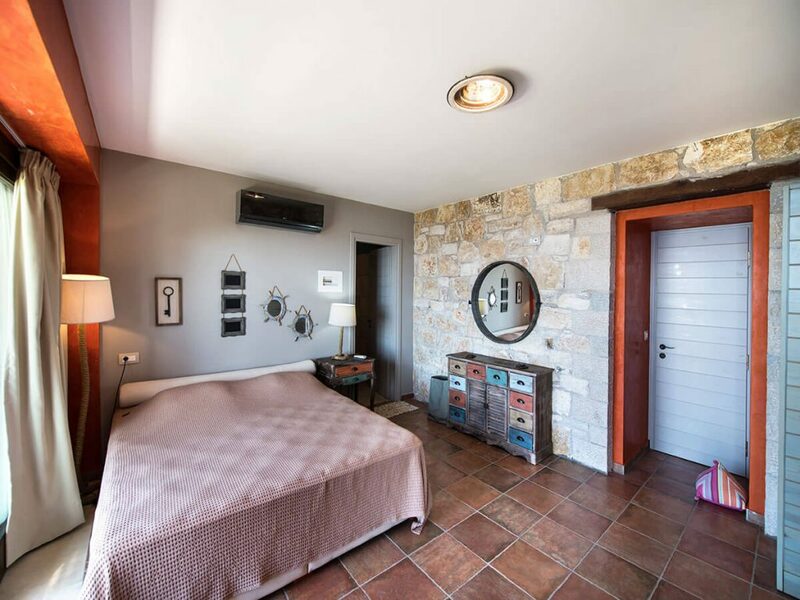 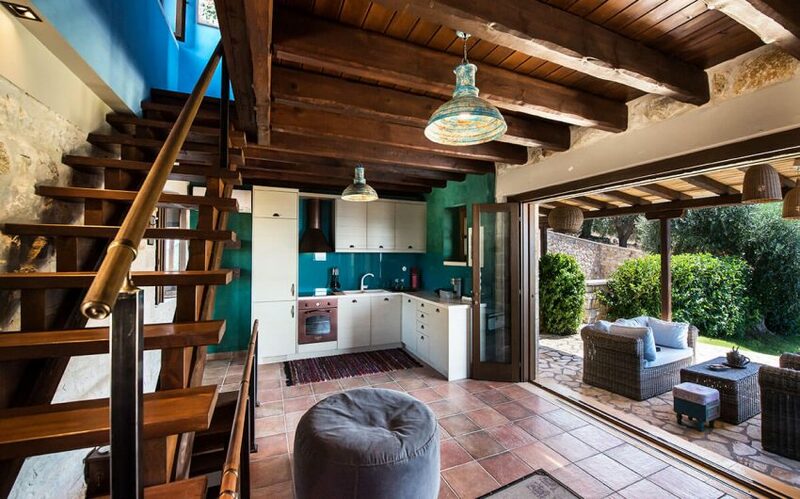 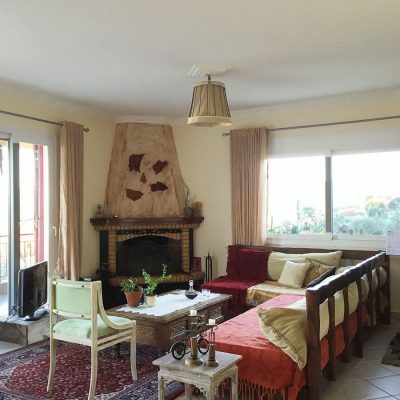 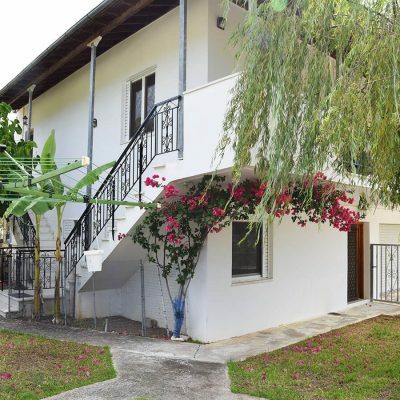 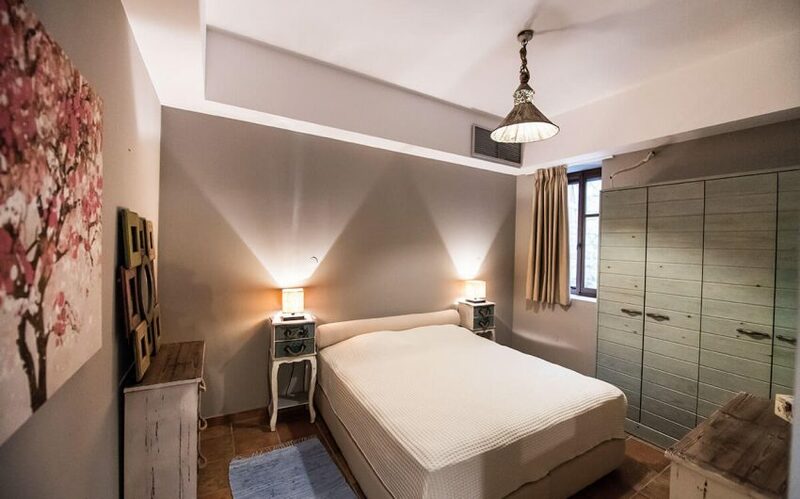 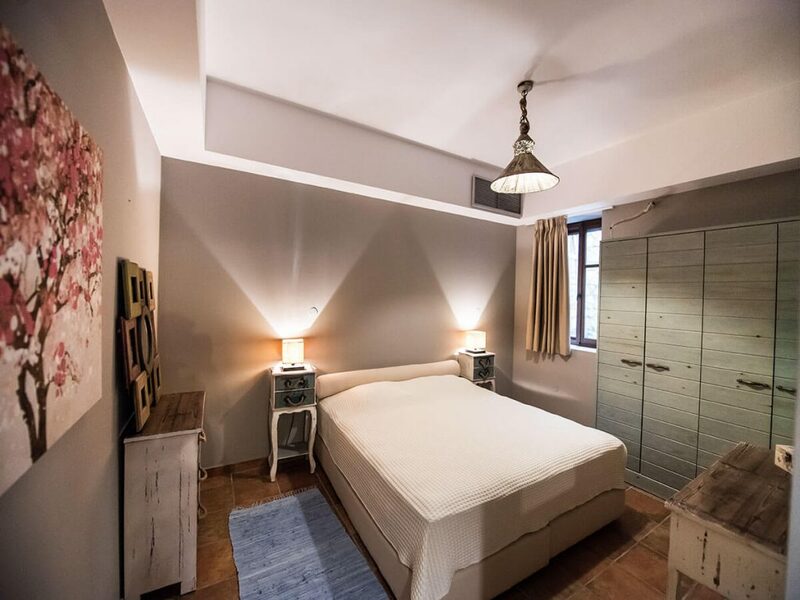 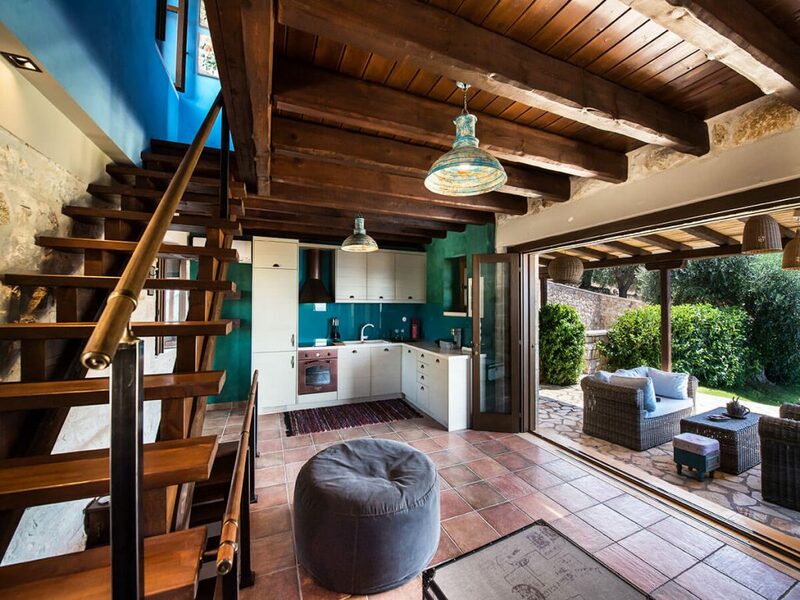 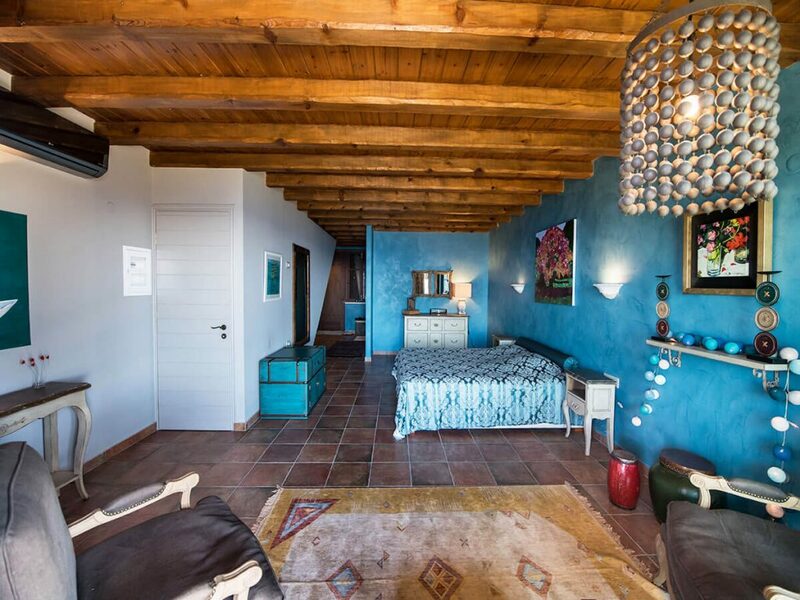 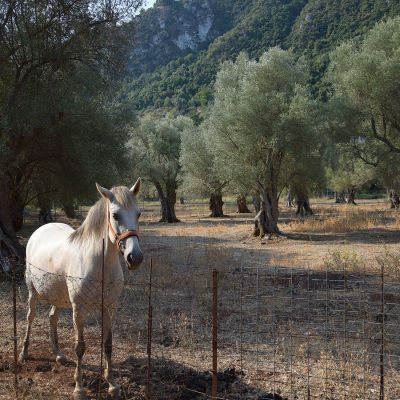 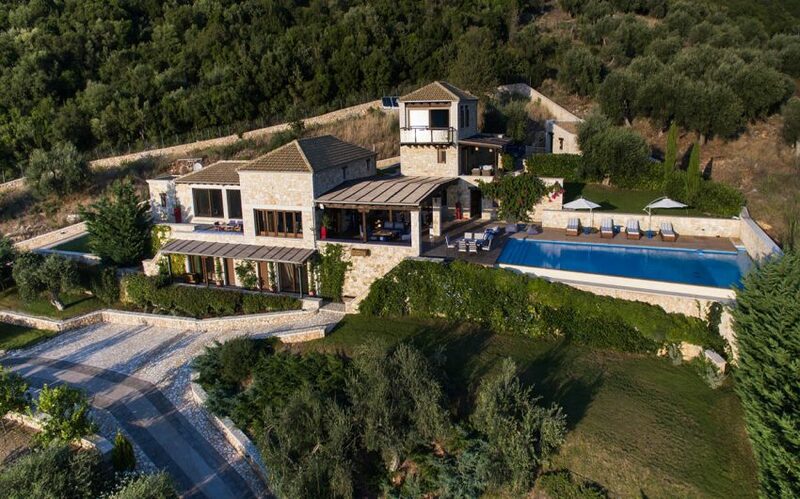 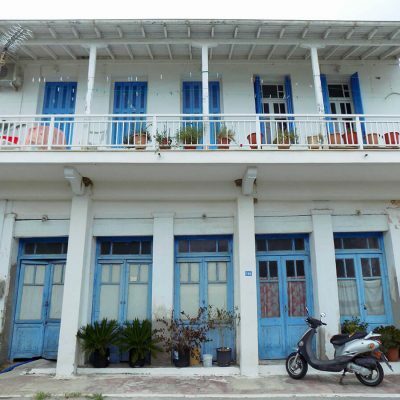 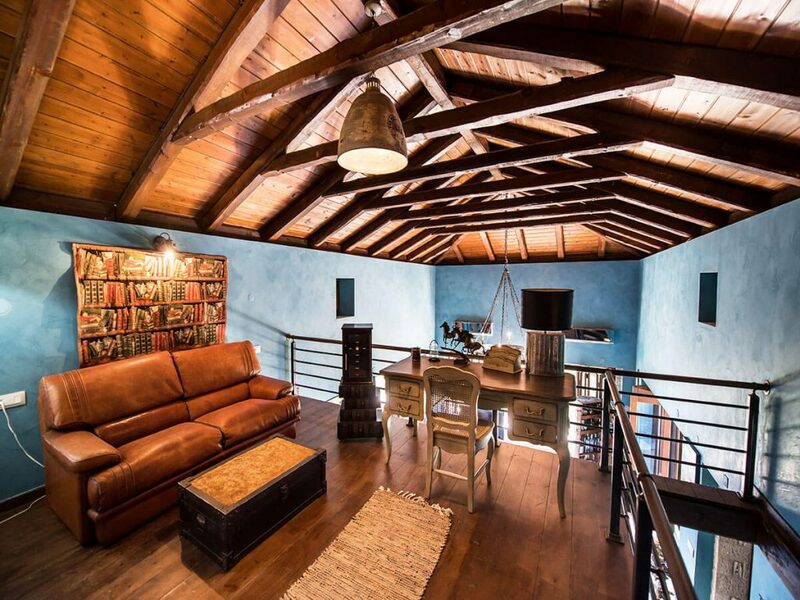 This particular house is one of the best on the west side of Greece and will offer moments of satisfaction, tranquility and joy to its next owner. 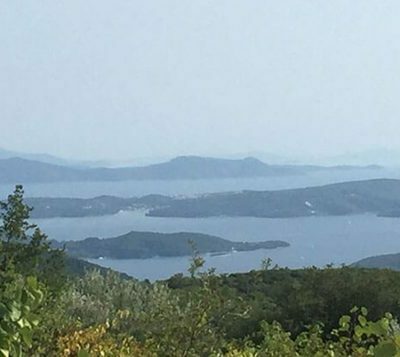 Distance from sea by car 1 km.